Another fun frame from Maui Jim, these Stingray wrap sunglasses are equally ideal for a day on the beach or a nice drive on a sunny day. 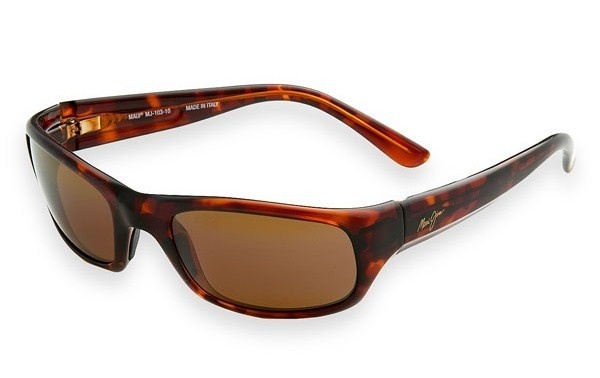 From the Maui Jim Classic collection, the tortoise frames are lightweight and feature matching brown lenses. Available online, the frames also come in black with grey lenses. This entry was posted in Sunglasses and tagged Maui Jim, Maui Jim Classic. Bookmark the permalink.